Today only, Shutterfly is offering your choice of a FREE Set of Playing Cards ($19.99 value), a Reusable Shopping Bag ($16.99 value), a Laminated Placemat ($14.99 value), or Two 8×10 Photo Prints ($7.98 value) when you use the promo code PICKAFREEBIE at checkout. **Shipping charges will apply, but I have always found it to be worth it as the quality for these items is excellent! New Coupons - Huggies, Air Wick, Minute Maid + More! Save $5.00 on the purchase of ONE (1) Culturelle® Pro-Well™ 3-in-1 Complete Formula Product .Expires 9/5/2016.Save $5.00. Save $3.00 on ANY ONE (1) Advil® or Advil® Film-Coated 80ct or larger.Expires 7/31/2016.Save $3.00. Save $3.00 on ANY ONE (1) Advil® PM 40ct or larger.Expires 7/31/2016.Save $3.00. Save 70¢ on any ONE (1) Rolaids® 3 Pk Rolls or Rolaids® Softchews Twin Packs Excludes Single rolls.Expires 7/31/2016.Save $0.70. Save $3.00 on any TWO (2) Rolaids® Tablets or Liquid Bottles Excludes Single Rolls or 3 Pack Rolls.Expires 7/31/2016.Save $3.00. Save $2.00 ON ANY ONE (1) 120ct POLIDENT® Denture Cleanser Tablets.Expires 7/5/2016.Save $2.00. Save $1.00 ON ANY ONE (1) SUPER POLIGRIP® product (2.0oz or larger).Expires 7/5/2016.Save $1.00. Save $4.00 on ANY ONE (1) 120 Spray FLONASE® or larger.Expires 7/3/2016.Save $4.00. Save $2.00 on ONE (1) 60 ct or greater FLONASE® or Children's FLONASE®.Expires 7/3/2016.Save $2.00. Save $1.50 on ONE (1) GOLD BOND® Diabetics' Dry Skin, Eczema, Rough &amp; Bumpy, Strength &amp; Resilience, Dark Spot, Neck &amp; Chest, or lotion 13oz+ (excl. hand cream).Expires 7/2/2016.Save $1.50. Save $1.00 on any ONE (1) GARNIER® FRUCTIS® Shampoo, Conditioner or Treatment Product (Excluding Trial Size 1.7 OZ, 2 OZ, &amp; 3 OZ).Expires 7/2/2016.Save $1.00. Save $1.00 on any ONE (1) GARNIER® FRUCTIS® Style (Excluding Trial Size).Expires 7/2/2016.Save $1.00. Save $2.00 on ANY ONE (1) GARNIER® NUTRISSE® or Color Styler.Expires 7/2/2016.Save $2.00. Save $2.00 on any ONE (1) GARNIER® Skincare Product (Excluding Travel and Trial Size).Expires 7/2/2016.Save $2.00. Save $3.00 When You Buy ONE (1) Schwarzkopf Color Ultîme® or Keratin Color Hair Color Product.Expires 7/2/2016.Save $3.00. Save $2.00 When You Buy ONE (1) Schwarzkopf Essence Ultîme® or Styliste Ultîme® Hair Care or Styling Product.Expires 7/2/2016.Save $2.00. Save $2.20 on any SIX (6) Renuzit® Adjustables Air Fresheners 7 oz. size or larger.Expires 6/19/2016.Save $2.20. Save $1.00 on any ONE (1) Renuzit® Oils or Renuzit® Pearl Scents.Expires 6/19/2016.Save $1.00. For a limited time, get free shipping on all orders over at Crazy 8! To make this deal even sweeter, you can score 50% off dresses and rompers! PLUS you can still cash in on the Buy 1 Tees, Polos and Shorts and Get one for 8 cents deal! I love this Tank Dress on sale for $7.44 shipped! Head over HERE to check out all of the bargains. 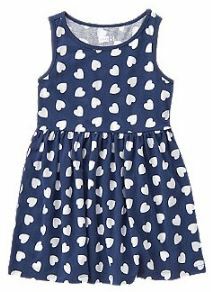 Old Navy: Huge Dress Sale + Extra 30% Off + More! Old Navy fans don't miss these deals! All dress are on sale for up to 40% off – prices start at just $15! Plus, be sure to scope out their Kids and Baby Summer Fun Sale where you'll find discounts as much as 50% off! If you're shopping online, save 30% off your purchase with the promo code EXTRA at checkout (excludes Everyday Steals and Hot Deals, Today-Only Deals, and Clearance merchandise). Shipping is free on orders of $50 or more BEFORE promo codes are applied. 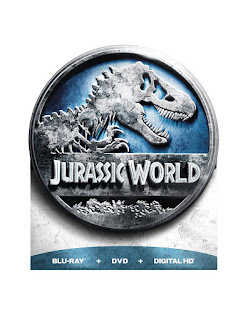 Amazon has Jurassic World – Limited Edition Packaging (Blu-ray + DVD + Digital HD) on sale for $13.49 (reg. $34.98). Great reviews. Right now Best Buy is offering a $10 Best Buy Gift Card when you spend $50 or more on Select Movies! 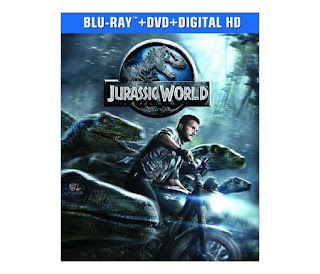 Check Out Our Digital Movie &amp; Music Card Selections, Plus Free Shipping on Orders $35 and Up! Browse your favorites for your summer vacation trip! The Limited - Extra 30% Off + More! If you like shopping at The Limited here's a look at a few great deals happening online! Right now you can get ASICS Men's or Women's GEL-Excite 3 Running Shoes for as low as $33.99! Prices vary based on the size and style that you choose. 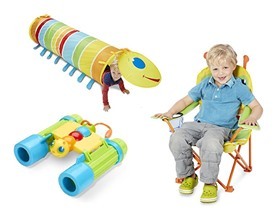 Check out this Melissa &amp; Doug 3-Piece Giddy Buggy Bundle for $39.99 (Retail $56.97). This Melissa &amp; Doug Giddy Buggy Bundle includes 3 individually packaged Melissa &amp; Doug items, making each one giftable if you'd like to break it up and spread the wealth. Ending today - Yankee Candle is offering an EXTRA 10% Off Semi-Annual Sale Items with code TENOFF at checkout - this was actually automatically applied for me at checkout so NO CODE was needed. Today ONLY - Amazon is offering 25% off Under Armour Release Polos for Men! Need to dress up an outfit? 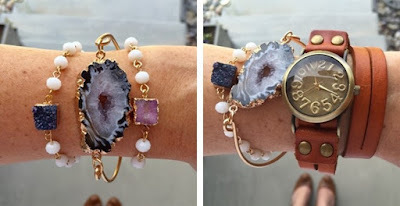 Head over and check out these Unique Natural Geode Stone Bracelets for ONLY $8.99! Natural Geode Stone laid in elegant gold setting. Wire band makes this a perfect one size fits all. Stone is a rich color that pulls light and dark color tones. Perfect for special occasions or everyday wear. Your piece is natural and therefore no two stones will look identical. Unique and special! $2.99 for the first item and $0.99 for each additional item. US only. Seller usually ships within 24 hours. Ships no later than Thu, Jun 09. With all the Facebook changes - many readers have complained about not receiving on Facebook, even when they interact and like page. One way I've discovered to see more post (I'm still not seeing all) - is by Prioritizing the pages you want to see! 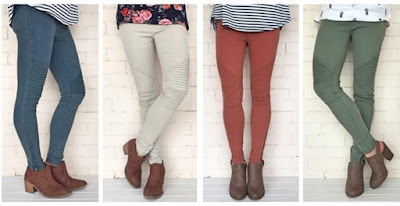 Hurry over and grab a pair or two of these Moto Leggings with Zippers for $39.99 (Retail $69.99). Available in 13 different color choices. I have a pair of the Brick and have ordered more b/c of how they feel and I always get several compliments when I wear! We're not kidding when we tell you that these leggings are the BEST! They will become your new FAVORITE item in your whole closet! You will love how flattering, soft &amp; oh so comfy they are on. They feature zippers both located at the bottom of each side. Dress them up with your favorite heels and fancy top or wear them casual with a tee &amp; vans. Whatever the occasion, you won't want to take them off! We have so many fun colors to choose from, so don't just order one pair - order a few! $5.99 for the first item and $3.99 for each additional item. US only. Seller usually ships within 24 hours. Ships no later than Mon, Jun 13.